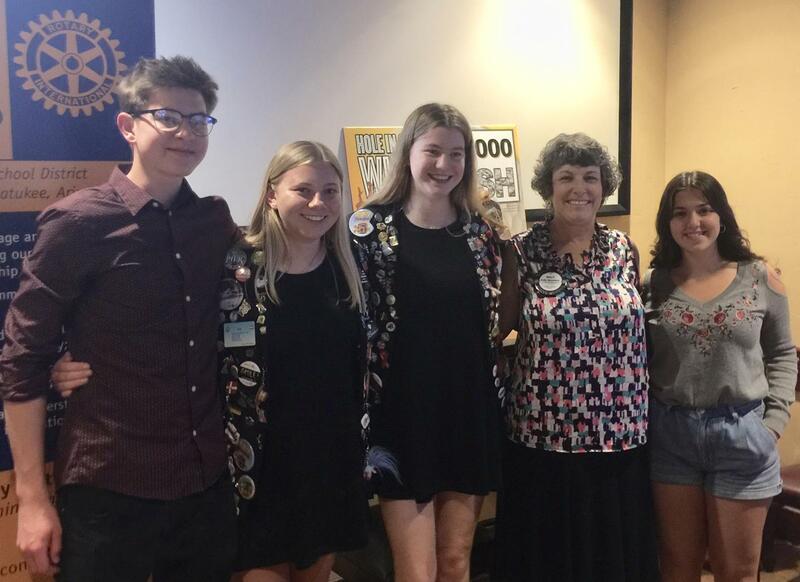 April 8, 2019 - Tanner is our club's outgoing exchange student. 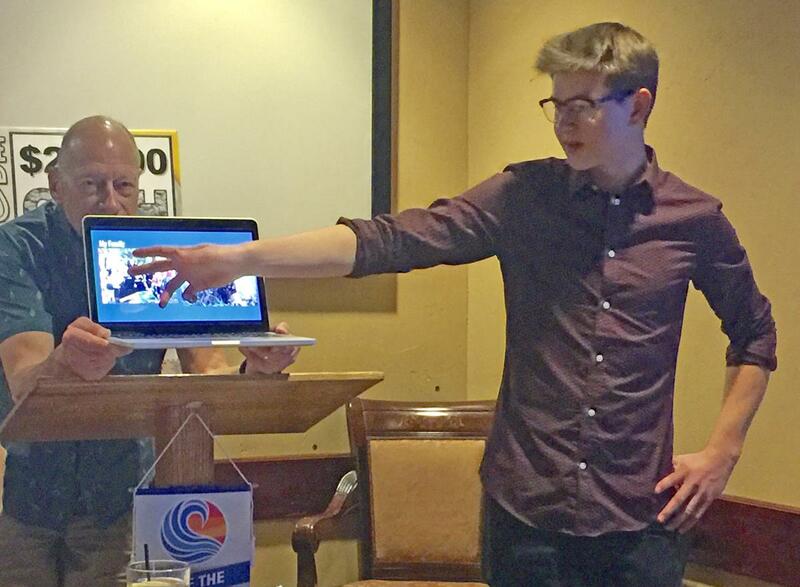 His presentation was a dry run for the presentations he will be expected to make during his overseas adventure. He did a nice job and received some constructive feedback from club members. Two exchange students from Vancouver Island in Canada are shown here with our outgoing student, Tanner, and Flor, our current exchange student from Argentina. President Kelly is all smiles.